Robert in 'Heart and Souls'. 1993 film co-starring Elizabeth Shue, Kyra Sedgwick and Tom Sizemore. HD Wallpaper and background images in the robert downey jr. club tagged: robert downey jr robert in heart and souls heart and souls screencaps 1993 film. 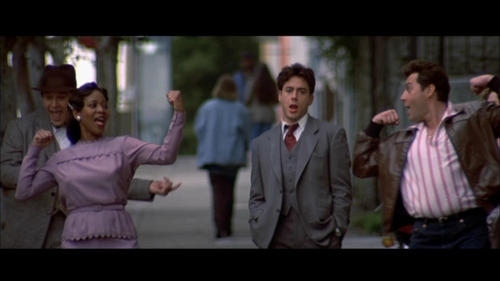 This robert downey jr. Screencap might contain setelan jas untuk bekerja and setelan bisnis.